Statistically, the chance of success for startups is slim. Experts, however, indicate that the chances of failure taper off after 10 years. The older a company the better its chances of continuing further. Or people tend to think so. On the contrary, statistics reveal that a company’s success has little correlation with age or experience. In fact, only 12% remain from the Fortune 500 firms between 1955 vs 2016. 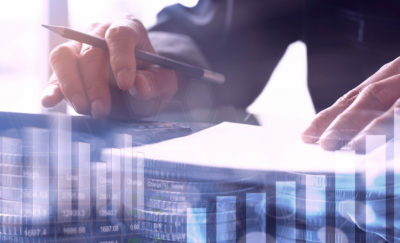 Digital transformation has proven to be a game changer, and companies not able to adapt their dying business model are in danger of going bankrupt and closing operations. This begs the question, what are the steps to recovering a dying business model? Historical data show that the percentages of failures do not change much. Startups fail 20% of the time during their first year of operation. Half of the startups survive the first five years, and only 30% prevail after 10 years. 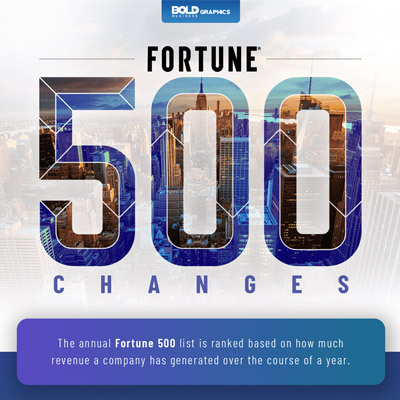 A similar trend occurs with the Fortune 500, with only 60 remaining who were on the list in both 1955 and 2017. The faster that technology changes, the harder it is for companies to adapt their business models to change. It is not a surprise that smaller companies, specifically startups, are better able to adapt to changes due to social change, cultural reasons, or technology. Medium and larger companies tend to move at a glacial pace. It takes them longer to create new products, to look at new technologies, and for management to evolve with the times. Often it is the culture of the company that is the most resistant to change. Why is this? Corporate longevity vs long term employees’ abilities alters their perceptions of market shifts. The endless pursuit of sales and profits gets in the way of long term strategy and business model disrupters. This is true with many companies including Catalina Marketing (Catalina), Kodak, ToysRUs, and BlockBuster. The introduction of new and timely technology has always created a disruption. There are instances where the adoption of a new technology comes at the best time possible. Examples abound where a company disrupts competition with the introduction of new technology. The Tale of Catalina Marketing and Quotient Technology, Inc.
A clear example of this is digital promotions companies Catalina Marketing and Coupons.com (the latter operated by Quotient Technology, Inc). Catalina Marketing Corporation is a provider of in-store electronic marketing services. Founded in 1983, they created a diverse network that provides the core of the company’s services to grocery and mass merchandisers via a printer at the register. However, by 1996, the company’s executives realized the business model faced growing competition from the advent of digital marketing. They countered by unsuccessfully launching Supermarkets Online and a business-to-business website for CPG news. Even though their legacy network expanded globally, from 1999 to 2011, the business model faced growing disruption. This paved the way for digital competition. Quotient emerged in 2001 and quickly began taking market share. While Catalina adjusted focus on digital strategies, a newly hired CEO in 2011 attempted to overhaul the business again. Unfortunately, the company and its culture were unable to get out of the way of how the business historically operated. It failed to change its technology platform, go-to market strategy, digital approach, and streamline operations. In parallel, coupons.com and other competitors continued to take away market share. Catalina eventually sold off its healthcare business. McKinsey&Company developed a new technology strategy and called for it to focus on re-invigorating the dying business model. The recent departure in May 2018 of its latest CEO, after only 16 months, indicates that the business is in serious decline. It remains questionable whether or not the company can ever recover its past glory. Coupons.com, on the other hand, now is creating more than 3.5 billion digital-coupon transactions and pioneers digital transformation of the promotions industry. Another example of technology as a disruptor is the IBM 360. Before its introduction, computer manufacturers created computers that used operating systems and modules unique to each model. The IBM 360 was the first family of computers that the IBM was able to market for a wide range of customers. It also made use of hardware modules that customers could buy and plug in with their computers. It allowed them to grow their systems as the business grew. This also made IBM computers more affordable for companies. The business model of IBM made it the leader in producing computers and laid the foundation for computer series productions with modules for expandability that their competitors tried to emulate. Today’s disruptive technologies are varied compared to those that came before them. These include Apple’s iPod, iPhone, and iPad; social media and Web 2.0; crowdsourcing; wearables; hybrids and electric vehicles; e-commerce, ride-sharing; search and renewable energy. The above list of technologies has individually, or as a group, made some blue-chip companies fold because of the influences of society and culture. Companies that were not able to adapt their business model to these changes have filed bankruptcies or restructured because of losses. They became outdated without knowing it. Not everyone had a film camera during its heyday in the 1980s and 1990s. However, the conversion to digital cameras brought on a jump in sales in compact cameras. This was a relatively short-lived jump as the sales of compact digital cameras started its decline in 2007. The introduction of the Apple iPhone in 2007 brought with it a lot of changes. Primarily, it was a cellphone that was also a computer. Users were able to install their own apps. It had a touchscreen that was ahead of its time. This alone was disruptive enough for other cellphones to emulate its form factor and do away with the small keyboard. It also had a camera, which was the best in any cellphone at that time. In those days, traditional film camera manufacturers had already merged or acquired by larger competitors. Kodak was one of the companies that was directly affected by cellphone cameras. The company invented the digital camera in 1975. In 1976, 85% of all cameras and 90% of all photo developing and printing in the US was by Kodak. During the 1990s, it had a line of digital cameras selling in the market. However, it could not let go of its cash cow, which was film developing and printing, and was not able to innovate with the compact camera market. By 2007, the sales of point-and-shoot cameras was already in decline. Kodak filed for bankruptcy in 2013. At its peak, it once employed 160,000 people worldwide. It now has only 6,100 employees. Kodak nowadays manufacture film for movies and develop technologies for commercial printers. Computer manufacturers have also been under the pump because of smartphones, tablets, and laptops. IBM sold off its consumer PC and laptop business to Lenovo. Because of its accounting practices, IBM has never divulged profits and losses for its PC division. In the same manner, Michael Dell brought Dell, the computer company, and made it a closely held private company in 2013. Together with Silver Lake Partners, Michael Dell bought back for $25 billion the company he started in his dorm room. Since then, Dell has kept a 15.2% share of the market and is the third largest PC company in terms of sales. With its acquisition of EMC, the future looks brighter than ever. However, not every company has been able to recover from disruption. The churn rate of Fortune 500 companies and Standard & Poor’s 500 have been getting shorter and shorter. A 2012 report showed that S&P 500 companies in 1965 were in the index an average of 33 years. This had shrunk to 20 years by 1990. It further fell to 18 years in 2012 and will shorten even further to 14 years by 2026. From a different perspective, only 153 Fortune 500 companies were still in the list in 2016. That was an average turnover rate of 14.1 new firms in the list. In contrast, during the 40-year period between 1954 and 1994, there were 347 companies in the Fortune 500 list of companies. This is equivalent to 8.7 companies per year. If the trend continues, only half of the companies in the 2016 list will remain in 2034, and all companies in today’s list will no longer be there by 2051. The above changes in churn rate are evidence that it is accelerating. If the turnover rate increased to 20, only half of the list will remain by 2028, and the entire list itself totally replaced by 2041. The S&P 500 lists are not absolute indicators of change. There are some factors in the way lists are made that can add errors in tallies. The churn for the lists does not include mergers and acquisitions when a company disappears from the list because of mergers and acquisitions with another company. Examples for these include Compaq when it merged with HP, and Sprint when Nextel bought it and became Sprint-Nextel. Sprint-Nextel counts as another churn when it renamed back to Sprint. Dell is a special case because it went private in 2013 and no longer traded on the stock exchange. The churn in both Fortune 500 and S&P 500 lists is a prime example of the results of disruptive technologies. The companies that dropped usually were not able to keep with the rest of the list. At the same time, fast-rising startups took their place. What’s the Secret Formula for Recovering a Dying Business Model? Each company has its own secrets to longevity. Dell, for instance, was able to keep itself as a company because Michael Dell bought out the shareholders. He also created a shift in the dying business model and turned it into enterprise data, services, and software. Since then, they have been operating without worrying about the stock prices and 90-day values and constant sales pressure. This also allowed management the freedom to work on long-term strategy instead of its famous quarterly re-creations of the business. For some companies, the secret is diversification. Amazon, Google, and Microsoft are well-known leaders in their respective fields. 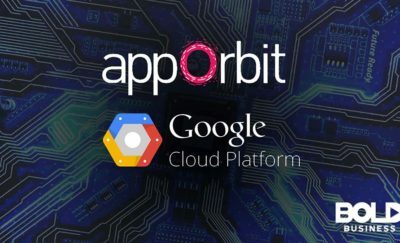 It also happens that these are three of the biggest names in cloud services. In 2017, Amazon’s earnings from Amazon Web Services (AWS) is $4.3 billion on sales of $17.4 billion. At the same time, North American sales was $106 billion with net earnings of $2.8 billion, while its international operations had losses of $3 billion on sales of $54.2 billion. This shows that AWS was the cash cow for the company. Note that Amazon is the second largest US company in terms of market value, second only to Apple. Another characteristic that helps a company stay longer at the top is innovation. This also happens to be one factor that distinguishes startups. Even though IBM has been described as a monolith since its anti-trust suit of 1969, it has also been a leader in IT innovation. Most people know IBM as an IT hardware company that makes mainframes; however, it also happens to be one of the biggest software companies in terms of sales. They are also leaders in AI research and development. In 1997, IBM’s Deep Blue beat World Chess Champion Gary Kasparov. In 2011, IBM’s Watson played against human contestants on TV’s Jeopardy and won. These wins were the result of IBM’s research into AI and changes in their business model. Along with innovation, adoption of new technology is important to keep abreast of the competition. This includes the ability to use technologies for research and development, rapid prototyping techniques, manufacturing retooling, AI and machine learning, and robotics. To make money, a company has to increase prices, adjust its business model, increase sales, lower costs, or any combination of the four. Understanding disruptive technology and adjusting accordingly allows a company to increase sales while lowering prices and adding value. Customers may initially buy for the low prices, but they will continue to patronize a brand because of the value added and its business model. It is hard to forecast what the customer will like five years from now. Innovators succeed because they are also influencers. They may not be the first in the market, but when they do enter the market, they bring a promising proposition. Apple was not the first to the market with an MP3 player, and yet they delivered a compelling product in the iPod. Facebook is today’s acknowledged leader in social networking. However, Friendster and MySpace were there first and then faded away. Companies that cannot innovate their business model or adopt to change would not be able to maintain their leadership position.